Last thursday morning marked the start of our 4,000 mile / 10 day family road trip. The plan was to go to hoover dam, the beach in California, LEGOLAND, carlsbad caverns, visit a friend in the mountains, roswell (yes, I am an alien nerd! ), the grand canyon and several other things. 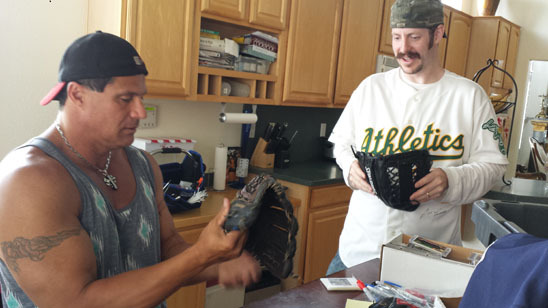 The most important one for me, however, was to go to Las Vegas and have my customs signed by my childhood hero, Jose Canseco. 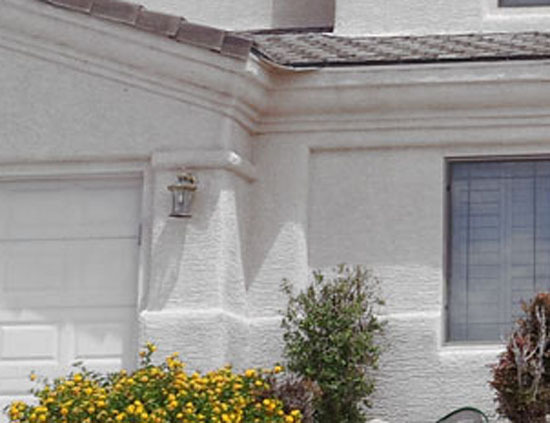 As you may know, the flip quests I do are inspired by the red paper clip story – where one person goes from trading a red paper clip and ends up getting a house. I didn’t want to just flip for a card or cards. I wanted something different … something special. 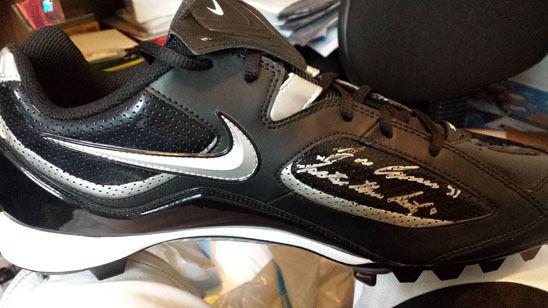 During my last Flip Quest, I thought it would be cool to raise the money to have Jose sign all my customs. As I was returning from last year’s baseball card show, when the thought came in my head driving down the road, I couldn’t shake the idea. Could all these customs I had poured my heart and soul into actually get signed … in person? The first customs I had made, I brought to him to be signed at a show here in Houston, and it was cheap, but still cost me $150 total to get 6 items signed, if I recall correctly. When I got home, I decided to reach out to his manager, and he promptly gave me pricing, terms, etc. It was way over my budget, so I asked for a “lite” version … which was more doable. He mentioned that he would be in the Houston area in a month or so, but for me – that would not work, as I wouldn’t have nearly enough items ready to have signed. Plus, I still had to get my head around the lunacy of having a private signing for … me. Whenever you hear of someone doing a private signing, you hear about others coming in and paying for autographs, etc. Over the next few months, I slowly made a number of other customs, which was very enjoyable. Sharing my work with everyone online, and hearing all of the compliments has more than made this all worth it … signed or not. During this time, Jose had shot himself in the finger. 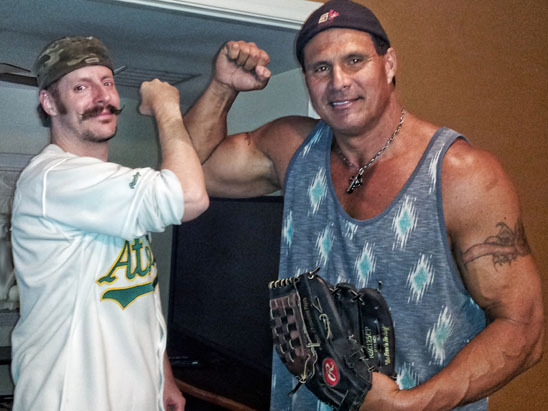 When I first heard of it, all I had heard what that Canseco got shot. My first worry was that my childhood hero was dead. Then I heard it was his finger, and was completely relieved, but did wonder how this would affect the signing. That may sound selfish, but that is where my brain went after I heard that he was okay. 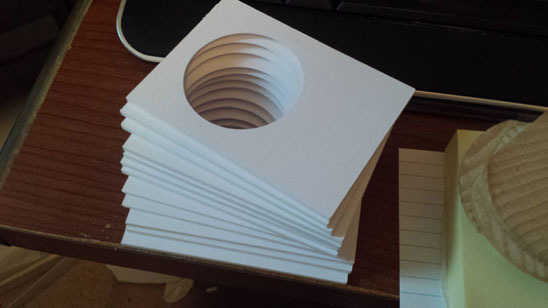 I should probably mention the 30+ suggestions that I received from others about making a card out of his finger – yuck! I’ve heard of (and had) some twisted ideas for cards, but that takes the cake. 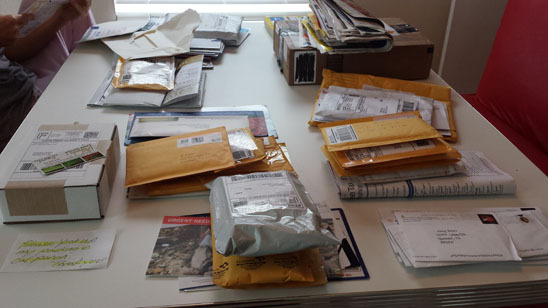 I made the decision to send the customs to a signing he was having up North. It would be a tragedy to make all these customs, and not be able to have them signed! It would have been much better to have been able to show him my art pieces in person, but I didn’t want to run the risk of holding out for something that may never happen. I figured I’d check with his manager again to see if there was any chance of a private signing to happen, and he simply said something along the lines of “don’t send the cards to the signing – wait until in person.” This information came *right* in the nick of time just before I was about to send them out. Could this signing really happen??? During Jose’s home run tour last year, it looked like he was going to be making it to Texas (albeit a long ways away from us). The plan was to meet up with him there. His manager called me (the first and only time I spoke to him on the phone, though there are countless emails between us) and told me the details of the event. He said my son and I could shag fly balls in the outfield during his home run tour! Yeah, I know there were probably going to be tons of others that would be out there too, and I may not be able to say much to Jose, but how cool would that be!!! Who gets a chance to shag fly balls being hit by Jose? I got mega hyped up for this, and as the date drew closer & closer, I grew a little anxious, because I hadn’t heard anything. About a week before we were about to leave, I emailed to ask for the details so we could wrap up our plans. He wrote and said the promoter cancelled. Sadness. Frustration. Pure, all out bummed-outness. Just like that, I was a week away, and yet again – my dreams were dashed. I reached out to his manager again to see when Jose would be in the area. Over the next several months, several things fell through. My wife mentioned to me “why don’t we see about driving to him?” (She is a road-tripaholic). His manager said that would work, and after about a month, we figured out the day. The whole thing was nerve-wracking due to what had happened in the past. A week out, I emailed to confirm, and his manager said yes Saturday is a “go”. I didn’t know where I was to “go”, but I knew that we were going. He said he would let me know where the signing would happen later. I need to explain a bit of how this felt. It was like I was playing a video game, and got to a really hard part where I always die (a week away from leaving). Once he said yes, I felt like I had beat another level. During this week, I felt an urgency to get everything ready, and to almost have a “script” ready of what to sign, how, what pen, etc. Knowing that all that would be out the window, and out of my head anyway, once I was with Canseco, if it truly was happening. Here are a few pictures of some prep work I did involving the game used bat I cut up. I decided to lacquer up some pieces so the signature would look better on them. I also LOVE how black bat barrel pieces look, so I figured, why not? I inked some of them! I see lots of jumbo bat barrel cards in my future! I also decided to do some instructions on some to make sure I didn’t forget. Some of these inscriptions are what you have seen before, while others are inscriptions that have not been seen by Canseco before. These boxes had memorabilia for me to have Jose sign. There it is – the big mystery is revealed! The time finally came for us to leave. As the start of our road trip began, I couldn’t fathom that we were on our way to have Jose Canseco sign several things of mine. Don’t stop reading yet, because this does get a little bumpy. I had a hard time swallowing the fact that I was driving halfway across the United States without a definite meeting place and time. Yes, that’s right – we had no idea where we were going, or what time – but when this opportunity pops up, you don’t dilly-dally – you GO FOR IT! Still, there was a lot of doubt and concern. What if, when we get there, (after 20+ hours of driving) he cancels? What if I just never hear from his manager? What if Jose has to make some sort of trip out of state for a more pressing obligation? And then more thoughts came to mind – what if Jose was in a bad mood and just signed everything then walked off? What if he signed with shades on and ear buds in? What if he was just a cold jerk that would not be willing to do any inscriptions I had requested? What if the private signing takes place in public, and he spends the entire time talking and signing for others who come up to him? I had no reason to believe any of these things, but I always do end up painting various worst case scenarios in my head. After driving for 20+ hours, you have a lot of time to think about these things (not to mention the year leading up to this!) As you can see, there are a billion things that could go wrong here. 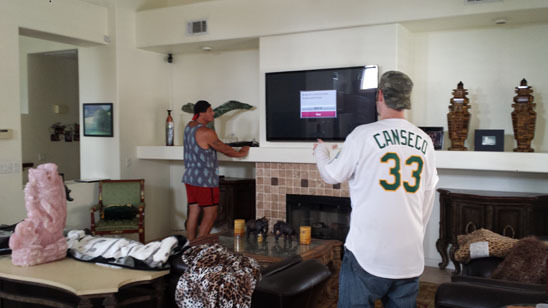 Would I be having a fire sale of my beloved Canseco collection if he is horribly rude to me and my family? What would happen then? How would that affect the rest of the trip for me? How would I feel about the incoming cards that would await for me at home? Day 1 meant 13+ hours of driving to Albuquerque, and in the middle of this, we were met with a massive hailstorm that you would swear shattered our windows if you could listed to how hard we were being hit, but thankfully that wasn’t the case. My wife thought a tornado was coming, because the rain and hail were going sideways. We got to a gas station at night, where someone was walking their horses. I’ve never seen 3 horses at a shell station before. 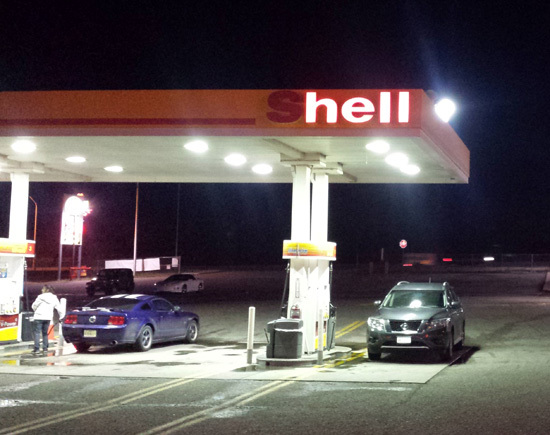 Oh yeah, this wasn’t a shell station though …. We all got a little snicker out of that. We made it to our five star hotel which was $500/night (or was it 2 star for $50 a night? I forget…) and were able to sleep pretty well. I’m still concerned that we are now nearly 900 miles away from home, and no word from where, when or how we will be meeting up with Jose. This whole thing still seems like a pipe dream. While we had a bunch of fun things planned, it surely would put a damper on the whole trip if the signing doesn’t go through. After a long first leg of the trip, I emailed his manager and said that I would be booking a las vegas hotel in the morning, and will send him the address so Jose can either meet us there or we can meet him wherever he wants. At this point, I really just wanted to hear something … anything from him. We went to bed, and I woke up – an email from his manager! Talk about a HUGE sigh of relief! This is huge for me. I am still on his radar. At least I had heard something, so it sounded like it was still on. Another level in this video game complete! As we went through Arizona, my wife was asleep in the passenger seat. I looked over to the left and saw some white sand …. but it wasn’t sand. It was snow! How the heck was snow here when we are a mere few weeks away from Summer? If you are from down south, you can probably imagine our shock. Otherwise, not so much. I woke up my wife and told our son to look out the window – it was only a few patches but this was unfathomable to us all. We expect near-unbearable heat awaits us in Houston within a matter of weeks after we return…and here we are seeing snow. As we climbed higher and higher in elevation, the snow got thicker and thicker, until it looked like we were driving through a winter wonderland. Years from now, if we looked on these pictures, we may mistake them for Christmas time. 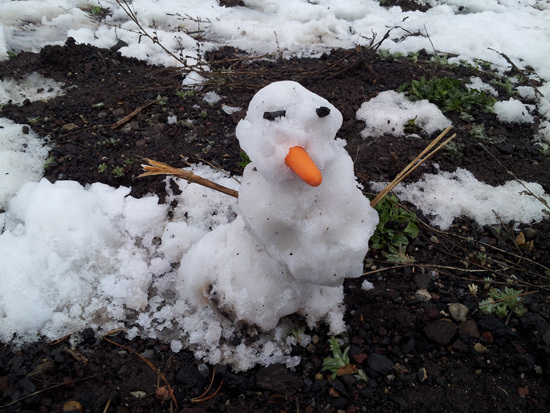 We decided to pull over and throw snowballs at each other & make a small snowman … in our shorts and flip flops. This all lasted for about 10 minutes, and about 10 minutes after that, our hands & feet thawed out. After a while, it started snowing! That was very cool, because as you drive through the snow, it looks very “matrixey” – it looks like rain is hitting you in slow motion. I was worried we were going to be stuck in some nasty weather, but our trek took us to lower elevation, and the snow had subsided. My wife had organized a get together with some other mom’s and their kids to put together things that are called “blessing bags” – these are bags that are filled with items to give out to homeless people. She decided it was a good idea to bring some on our trip – it was a very good call! In Arizona, as we were passing a bus stop, we saw a woman who was holding up a sign so we decided to turn around into the parking lot and pull one out for her. Just like that … our car SHUT DOWN. 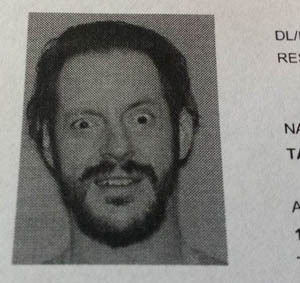 It was driving fine, and then it just … stopped. WAS THIS IT? Was this all for the trip? Was the signing not going to happen thanks to our car? I just started laughing. My wife asked me what I was laughing about and I just told her his address. This trip just got significantly better … for all of us. My wife and son went from excited for me to excited for all of us. What the heck is happening here? Did my favorite baseball player … the person who was previously the FACE of the best sport on the planet … just invite my family over to his house?! That one email took this whole trip from a mission to get autographs, to a potential life experience that could far eclipse getting my customs signed. A lottery winning. I had spent this whole past year so focused on getting my customs signed and “finished”, I hadn’t really thought about how amazing it could be to actually get to hang out with him for a bit. During the drive, I modified all my fears to match a potential reality. What if this had happened: I meet him in his garage … shades on … ear buds in … sign things quickly and barks get off my lawn! Either way though, going to his house – regardless of how cranky he may be or how rushed it might feel – is still beyond cool. Needless to say, I don’t remember much of driving after that. After proclaiming that day two was a much, much better drive, (even without that news!) we made it to our hotel. The hotel was attached to a casino, so the music was easily heard from inside our room, you could easily hear one of the many … “professional women” in the area earning her keep from the next room over, and there was a good sized gap from the bottom of our door to the ground. It was such a strange atmosphere – no matter where you were in this area of Vegas, it was like you would breathe in cigarette smoke – whether you were in a hotel room, outside on the sidewalk or, at a gas station or even in a non-smoking area of a restaurant … there was always a distinct smell & taste of smoke. I can’t begin to say how odd it was that this put me in a bad mood even though I had gotten the best news ever. I knew we had pre-paid for 2 days to stay there, and I just couldn’t go through with it. Thankfully, we were able to get a refund for night two. The crazy-loud a/c in our room was a God send, as it drowned out all of the horrendous night life and allowed our sub consciousness to focus on the loud, repetitious droning. I went to bed in a much better mood because I knew the next day, I was going to Jose’s house! I woke up staring at the over-sized clock showing 5:00 AM in big red characters. Immediately, my math kicked in. 7 hours. 7 hours until I am at his house! Surely my stomach would be in 1,000 knots and I’ll likely not be able to speak English while I’m there, but in 7 hours I’m to be at his house! We went to eat breakfast, and I told my family that though we are 30 minutes away, I’d like to get an hour start to just make sure that we get there on time. Even if we have to park down the street for 30 minutes like creeps. About 10:30, an hour and a half from the signing, I got a text. This really got me all knotted up. Is this an ultimatum? If I couldn’t make it then, would it not happen? That one text turned my morning from one of fairly peaceful preparation to that of total chaos. We hastily packed up everything, checked out, got directions and started driving. Was this whole “get there ASAP!! !” text foreshadowing of how hurried/rushed/cranky Jose may be? Head down, shades on, ear buds in, sign, sign, sign, and get out. After a mere single wrong turn, we finally got there (with a few minutes to spare). It was a beautiful house, but I don’t think I was paying much attention. The garage door was …. This means that I was going to be going to the door of Jose Canseco’s house!!! 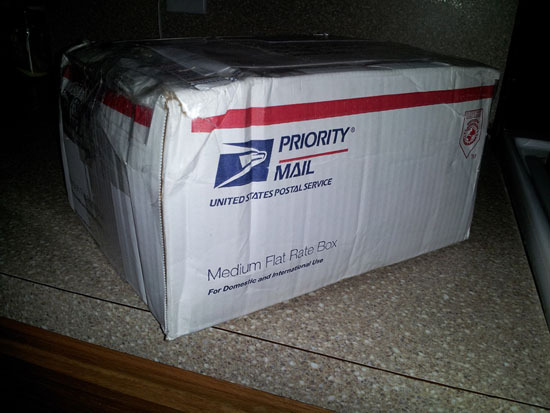 I brought my huge tub of items to be signed to come inside, and after I rang the doorbell, I heard dogs barking inside. There was a massive elephant tusk piece of art on the porch. It seemed like it took forever for the door to be answered. 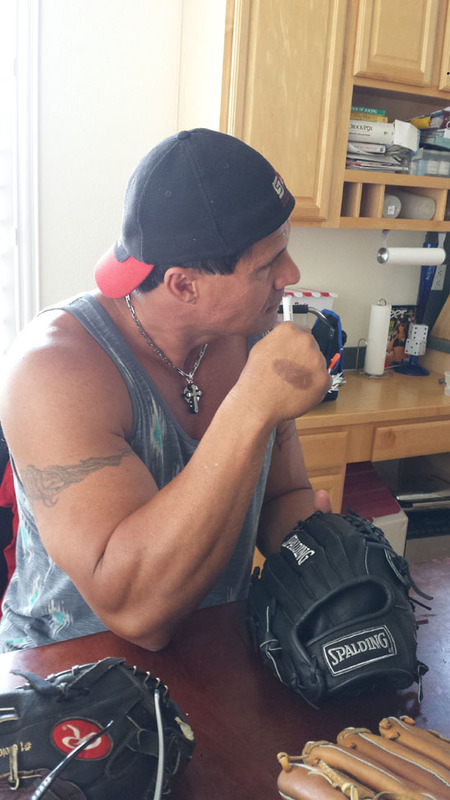 I looked back at my wife with a “I just rang Jose Canseco’s doorbell!” look while she was grinning from ear to ear. After a while, the door opened. Leila answered the door! I admit, I had often thought about this scenario would play out. Would Leila be there? How would she act? A lot of times, you can think of models as possibly being rude, cold, self-absorbed, etc. I knew nothing about her, or even if she would be there, and here she is opening the door to let us into their home. I don’t know much about her at all, but it was beyond surreal to see her in person, opening the door. As we walked inside, there he was. The incredible Cuban hulk – the man who I invited to my 9th birthday 26 years ago, and didn’t come. The guy who was the best player in baseball when I was growing up just invited me over to his kitchen table. He cleared off some space on the table and I lugged my huge tote onto the table. I started off by giving him a deck of cards I made for him. You remember this picture from a recent posting, right? I didn’t say anything about it, but here! I gave them to him and as he shuffled through them. 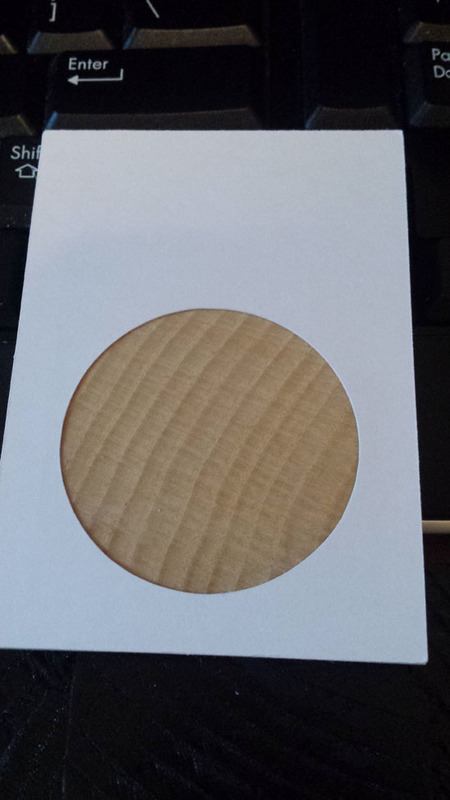 Jose told me he has friends come over every week or two to play poker, and they will be using the deck I made for him. Later on, I told him to look at the back of the playing cards. Yes, folks – he said my name…AND he will be using them with his friends to play poker! I’m very glad I made these for him because he was incredibly happy with them. As I got out some things to sign, the whole situation was nerve-wracking for a while. I knew that, thanks to the text I got earlier, he was in a BIG hurry, and I did NOT want to put my favorite baseball player in a position where he had to throw me out. Every piece I had for him to sign had a note stating what type of pen to use, what to say, etc. The first piece I had him sign was a Triple Threads type of card that was to be signed in silver. I gave him the WRONG pen to use and the signature came off horribly. NOOOOO!!! I asked if I could use his sink to see if I could quickly clear off the bad signature from my poor choice in pens. He said sure, and he went to put on a baseball game to watch while we were doing the signing. All that time spent making the card, and all that pressure to get done fast, and here I was – at his sink, carefully, yet feverishly rinsing off the card. It ended up coming off and he was able to put a better signature on it. It didn’t come out perfect, (as is the case with a few pieces) but that is to be expected – there were about 165 pieces to be signed! I have to say I was pleasantly surprised by Leila – not that I had any reason to think otherwise, but I always seem to have a “worst case scenario” view of situations like this. 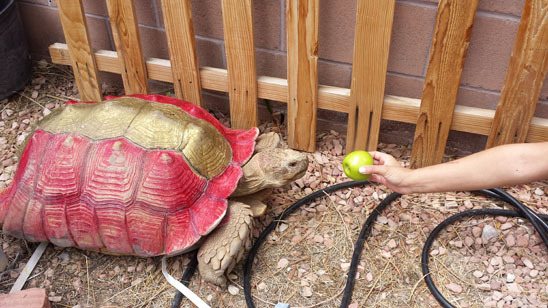 She was so sweet to us all, offered us drinks, chatted with my wife the whole time – they hit it off very well, and even fed the tortoises – which, by the way – are awesome! 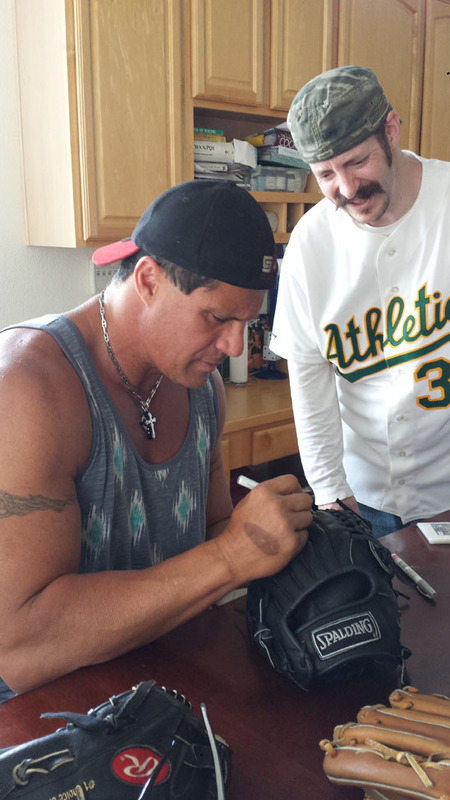 Some of you already knew I was trying to get a signing with Canseco. 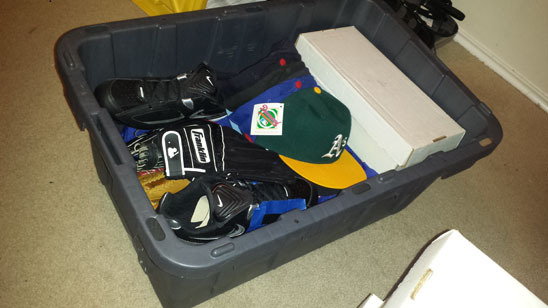 What you didn’t know though is that I brought over several jerseys, hats, batting gloves, fielding gloves and cleats not to just sign, but to wear. This was half of the excitement for me. If you know me, you know that the important part of a game used card is that it is worn by the player mentioned – not necessarily that it was in a game. 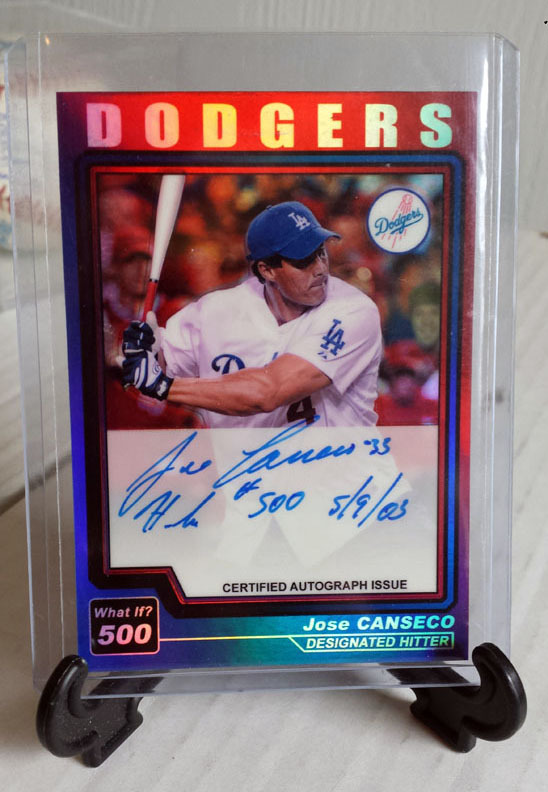 If you have a problem with this, then you probably should not be collecting any card put out by any company with a piece of jersey or relic in it. Was this even used in a game? Did Kinsler even wear it? Topps never claims it in writing on the back, so we will likely never know. It is still a cool card though, but we have no guarantee it was game used or player worn. 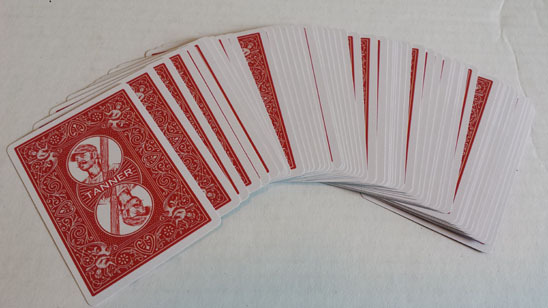 Even with more specific writing, many card companies have been caught saying game used when it was not, as well as not even worn by the player. 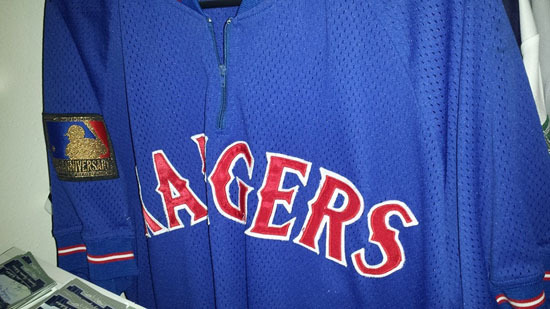 – Stories have been told where teams would tell players to put on and take off jerseys then sell to companies as game used. – Pictures have surfaced where players were putting on tons of jerseys on top of each other in front of what I believe were the card company representatives. 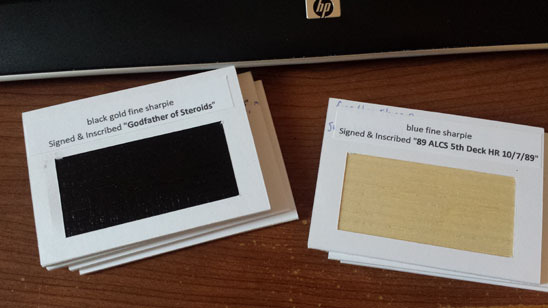 – Worn jerseys from photo shoots / draft events have been routinely used in cards. The list goes on. If you haven’t heard of these sorts of things before, google it and prepare to not believe in santa clause or the easter bunny anymore, either. As long as card companies are honest, then I’m perfectly fine with the photo shoot or training worn jersey/relic cards. For me, my goal is to be 100% sure that my jersey/relic cards of Canseco were in fact worn by Canseco, and that is truly what made the whole thought of this trip special for me. To get to how I came up with having him wear items, you have to go back to last year, when I started making custom cards. 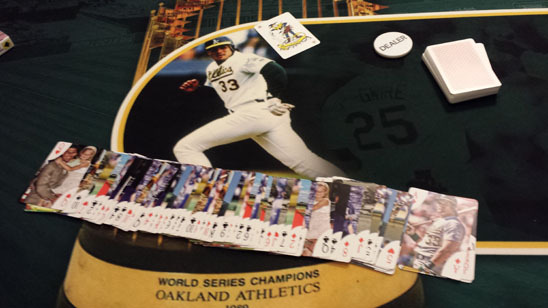 Let’s face it: Canseco patch cards are pricey, and I don’t know if any exist outside of A’s and Devil Rays patch cards. I know Upper Deck used a Devil Rays jersey for a few cards, (one of them showing him on the White Sox) but the rest are A’s patches … if you can find them. Jose was signed by 7 other teams. 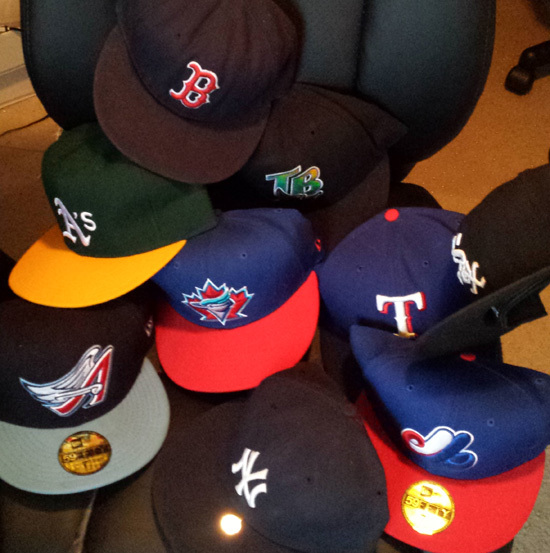 The Rangers, Red Sox, White Sox, Yankees, Blue Jays, Angels and Expos. He never played for the last 2, but was signed by them. When I had thought about doing this, I had a hard time sleeping – when I watched a baseball game, all I could see are players running around wearing all of this beautiful patch material. How unfortunate that my favorite player is no longer playing, and I could not physically witness if a jersey was truly worn by him or not, since the last time he played was 13 years ago. Plus, all you really can find are A’s jerseys. Don’t get me wrong! 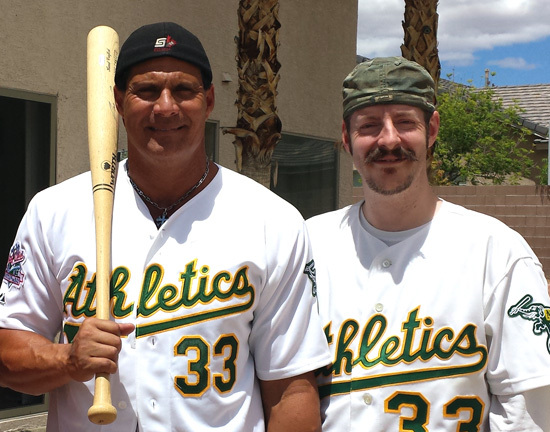 I LOVE the A’s – but as a big Canseco fan, the other 8 teams he signed with are very important to me. How can my collection be complete when there are little to no patch cards of the other teams he played for? I’m sure there are some out there…I mean, how can there not? But I have not seen any. 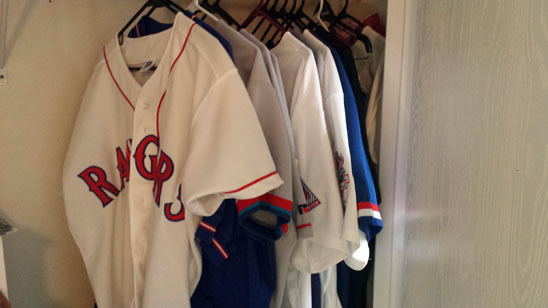 At the end of last year’s flip quest, I started researching and hunting down properly sized and branded official jerseys, hats, batting gloves, fielding gloves and cleats. It took a LOT … and I mean a LOT of work tracking down them all. I was able to get a proper jersey and hat for every single team he signed with – some had multiples just so I could utilize different patches to use as well. Jose wearing these items was a very, very big deal to me, because this does 2 things: 1) It legitimately (just as other card companies have done) gives me an amazing amount of player-worn material to work with from all teams he played on, and 2) I would be able to see him wearing these jerseys first hand, so I would know for sure that Canseco wore them. I had a good bit of anxiety on this part of the deal – what if he said no? What if he didn’t want to play dress up? The whole reasoning behind me collecting these jerseys and getting them signed was to be able to create a large amount of custom cards primarily for my collection. I don’t want to just cut up a jersey that he merely signed! I want to use jerseys that have been worn by him. Yes, I know that sounds creepy, but if you are a player collector, I’m sure you understand 🙂 Relax, people – I did not ask for him to try on any pants, underwear, etc. My wife wouldn’t let me. I first pulled out the fielding gloves. 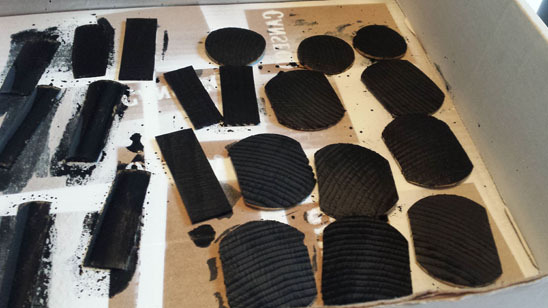 I brought 3 of them – one being a lefty, because I had no idea if his finger was in good enough shape to wear one. The good news was – his finger looks great, so he put on one, and started banging the middle of it with his fist. WHAT?!?!?!? 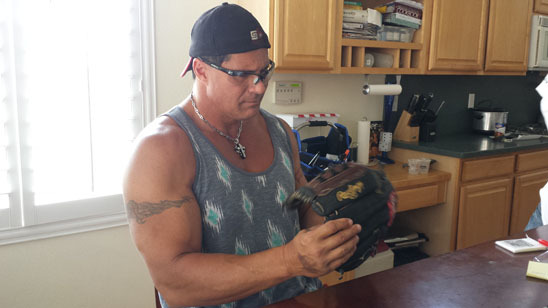 Jose Canseco just asked if he wanted to trade me MY baseball glove for one of his game used gloves?!?!?!? You have got to be kidding me!!! I told him I’d love to trade, but if he wanted it, he could just have it … yet, I added again that I would love to trade! Later on, he mentioned he had hoped that it was a bit bigger in size, so I prepared myself for the deal not happened. But then, he hops up, grabs a glove and trades me, saying he knows he can make it work. After this, Jose started to educate us all on how to properly break in a glove – he even put his new glove from me in the microwave, talking to us about how to break it in properly, telling me he will probably work on the glove for about an hour, and it will be ready for his next game. 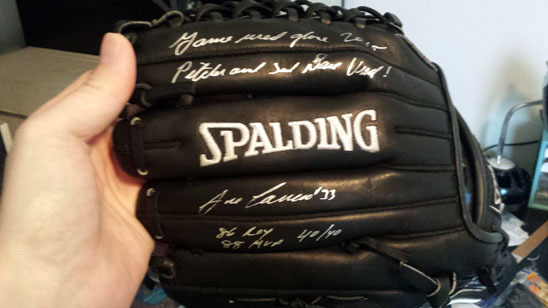 As awesome it is that he traded me, it is also awesome that he will be using my glove to play with in his future games! He put on his cleats, but they did not fit well at all, but in his chair starting doing a funny tap dance with them on. It was great – we all got a kick out of that! He said his feet have grown, and apparently after looking it up on google – that is a common occurrence! I called my son over and showed Jose his feet. How classic is that? In his book, he mentioned that he could beat Rickey Henderson in a race, and when I asked him again, he confirmed by saying that when they would race for (I don’t recall the length) he would win, every time. It might as well say Faster than a Speeding Bullet. I am a big fan of Rickey as well, so it is a cool piece to have. I had actually thought of the “Faster than Rickey” inscription the night before in the hotel. I’m glad I thought of it! 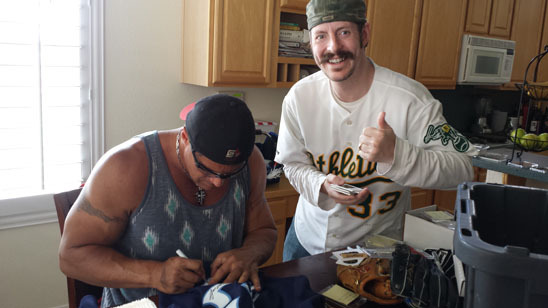 I had him put on the last one (the A’s jersey) so I could pose with him as I was wearing an A’s jersey as well. After we were done, I was a bit worried about taking too much of their time, but he was very leisurely and was talking to us about all the neat animals they have coming in their backyard. His backyard and home, by the way – absolutely gorgeous. The view from the backyard was phenomenal, but what else would you expect, right? I then had him sign each and every letter on each and every jersey for teams he played for. I have ALWAYS loved “By the Letter” cards, but was disappointed that they were not worn by the player, but rather manufactured. I loved that Topps came out with “Own the Name” cards, but was disappointed they weren’t signed. Well, now I have both! 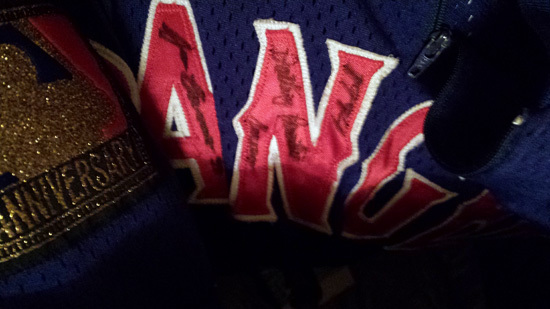 I have player worn AND signed letters for EACH letter … for EACH team he played on. This was something that was a big, big, big driving force for me to get this whole thing done. My allotment for autographs that I had purchased in this deal was coming to a close. I didn’t want to overdo it at all, and Jose certainly was not keeping track. He was basically just doing everything I requested. I did tell him though that I did not pay for 2 of the jerseys to be signed on the letters and asked if he had time, if I could pay him more to sign them as well. “Pshhh please … don’t worry about that! I’ll sign them all for you, no problem. 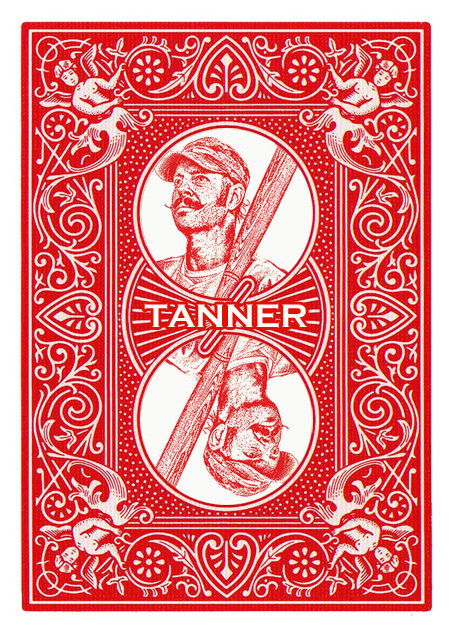 Heck, you made me a really awesome playing card deck.” Contrary to what others may seem to think about him, to me, his response to this did not make him sound like a jerk or someone who was hard up for cash. He could have easily said sure I’ll sell you more autographs for a few hundred extra, but he didn’t – he just did it for free, and happily so. Some of the cards caused him to ask questions. Like my request to have him inscribe H.R. #500 5/9/03 – I told him this was a “what if” card and told him that date coincides with my birthday. He then understood and signed it while tell me if he had one more year in baseball, he would have gotten to 500. I agree with him! 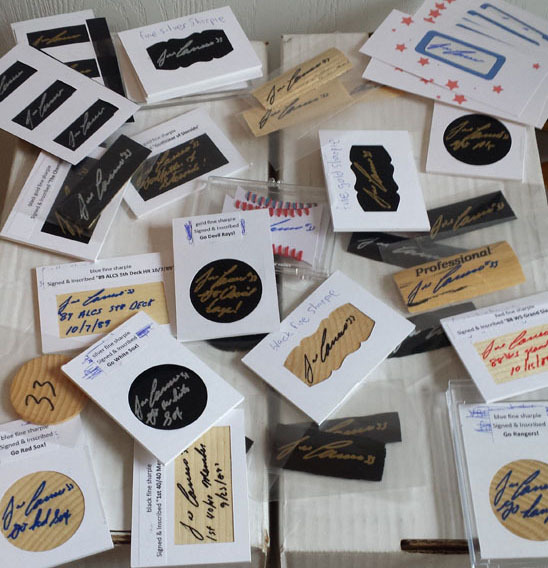 Having him sign all of the cards from my custom collection became a bit of a nightmare at the time – he was great, but I had cards outside of their holders so they could dry – they were all over his counter, kitchen table, etc. Holders were mismatched, and at this point, virtually impossible to put back together within a reasonable amount of time. During the signing, he mentioned something about showing us some home runs of his that he guarantees we have never seen before – monster shots. This was something I was very much so looking forward to, but was still concerned about time. When the signing was done, he went to get a disc his father had made him of some interviews and some of the home runs he had hit. It didn’t work because he only had a blue ray player, so I suggested that I bring inside my laptop to play it, and he said okay. Prior to this, I had him sign 1994 Batting Practice Jersey or something similar, if I recall correctly. As I was putting it up, I said “yeah, here is that Rangers jersey” and he said “yup, that is the one!” The home runs he showed us were even more incredible than that 89 ALCS 5th deck home run at the skydome. Before we started watching, Leila had just made cupcakes, and she & Jose offered us some. 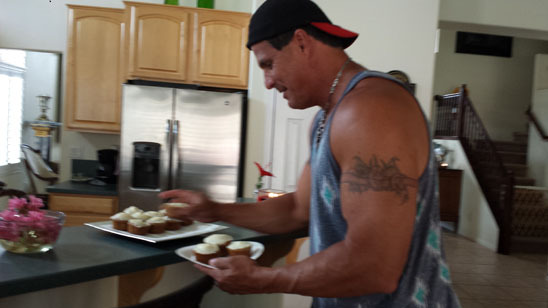 When Jose Canseco offers you cupcakes, you do NOT say no. BTW, they were DELICIOUS. After the watching the home runs, he had talked to us about home run length, bat speed, size, etc. Then, he had us come upstairs. We had a seat at his card table, and he kept talking about the glove, then we ended up playing cards! 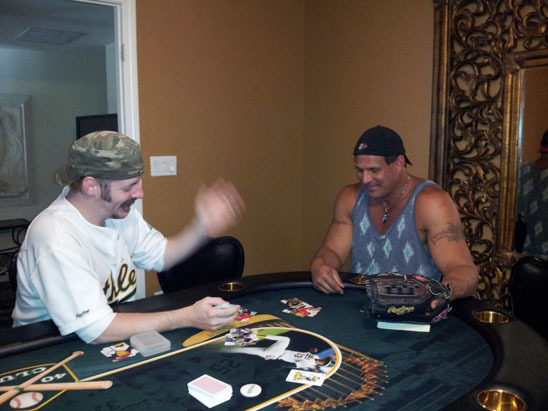 That was a blast – I played several hands of blackjack with Jose Canseco. My wife asked for another picture of us, and I was reminded about … THE BASH. How can I leave without a picture of doing the bash?!?! I put my arm in the wrong place and Jose re-positioned my arm a few times. 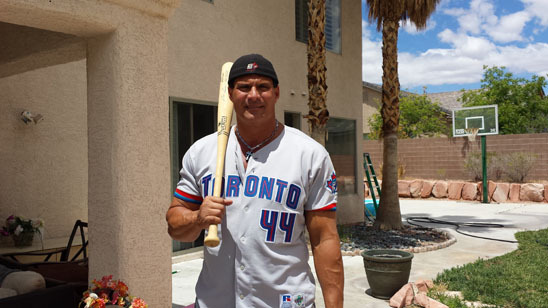 It was a rookie mistake on my behalf, not having ever bashed with Canseco before. When we were done, we went downstairs for me to pack everything up an go. He insisted we take several of the cupcakes with us on our trip, and I had asked for him to autograph one for me. I was kidding, and thankfully he knew that because I wouldn’t have been able to have brought myself to eat it! The cupcakes he sent with us lasted a total of 30 minutes or so between my son and I. As we walked out the door, I thanked him for having us over, and we walked out to our car to leave. But my wife left our keys and her phone on the poker table upstairs. YIKES!!!! I rang the doorbell again, and Jose answered with Leila this time. So, I scurried up the stairs to retrieve them while they were still in the kitchen. I shook both their hands and thanked them again while we left. I STILL am in shock that this is how everything went. All jersey letters got signed, all jerseys, hats, gloves and cleats were worn. I traded with him, ate his cupcakes, played cards with him and watched his home runs with him narrating for us. The entire signing and such probably would have taken 30 minutes, but he had us over for over 2 hours! For me, the verdict is in – both he and Leila are very hospitable, warm people who went above and beyond what my expectations were. Even though I hadn’t really factored Leila into this whole signing thing much, I am very grateful to her with how friendly she was with my wife, son and I. Initially, getting my customs signed and having him wear everything was something I had considered to be the pinnacle of my collecting “career”. Something that could never be topped. But in the end, the intangible experience of hanging out with him for over two hours at his house far eclipsed that. I don’t think I’ll be riding off into the sunset anytime soon though, never to be heard from again – among the several items he signed were “blanks” and game used bat pieces. Many with inscriptions that you won’t find anywhere else. 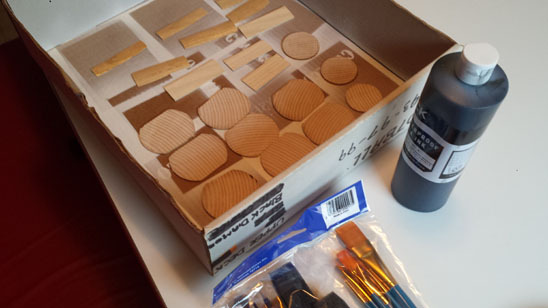 These items will be used to create more customs. 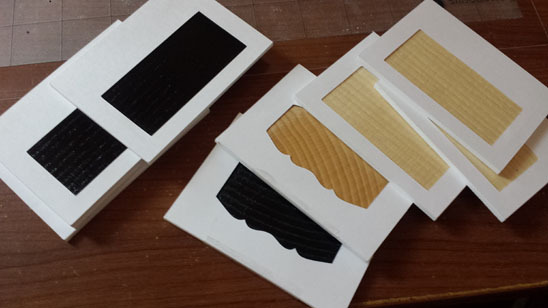 I am ecstatic that I have so much material to create lots of NASTY patch cards and nameplate sets. While I was a big collector and fan of Jose (and still am), I am also now very happy to call him friend. 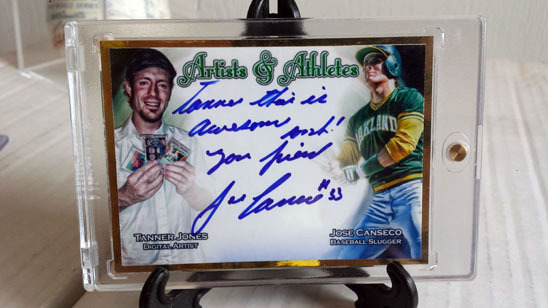 If you are reading this on a forum, I’ll be sure and post pictures of the cards I had signed periodically, so stay tuned! Wow. Best day ever indeed. 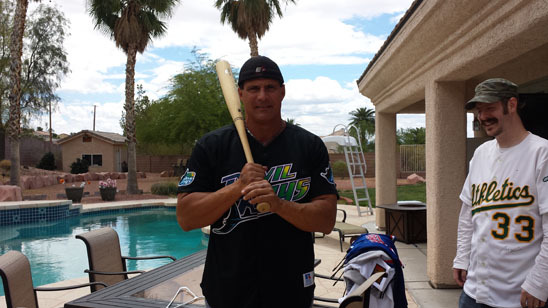 Canseco looks like he can still hit 40 Homers a year! Awesome. Agreed! He definitely looks to still be in superhero form. I agree with all the 'Wows'! That is a great (and captivating) story – I really enjoyed it. Also – you are lucky to have a great family that is so willing to support you in your hobby. Wow! That is crazy! Such a cool experience for you! I don't know much about card or memorabilia collecting, but I love baseball and almost anything about baseball fascinates me. 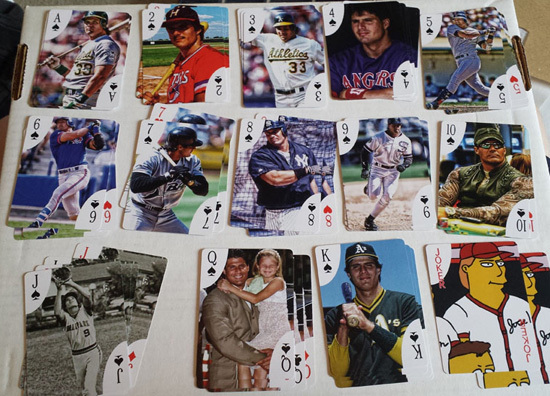 This is a very good story about card collecting, baseball, and as a travelogue. That is amazing, just the opportunity to meet your baseball idol is cool but to spend quality time with him makes this an event of a lifetime. This is awesome. You had a goal, and you got it done. Congrats! What a fantastic experience! Superbly documented too. I felt like I was there with you. Wow! That is what i was going for – thanks for reading and commenting! Tanner–Great story! Man, this had to have been the the Christmas/Birthday/Father’s Day/Holiday GIFT of a lifetime! He’s always seemed like a cool person to hang with, guess I know for sure now. Thanks for sharing! This is too cool. Congrats! Such an inspiring story. Thank you for writing all of this up! What an amazing, stonishing, astounding, surprising, stunning, staggering, shocking, startling, stupefying, etc. fabulous adventure for you & the family. One to tell the grand-childfen, You have more patience than any human being I know. Thanks for sharing. Thanks, Norm! I enjoyed checking out your website. Merry Christmas! This was such and Awesome story. Thank you so much for sharing this. I know you will cherish each and everyone of them. And the story’s you will be able to everyone. Thanks again. Thank you for commenting, Clifford! Your welcome. I think the glove would be my favorite one .